The Pivot is a two-sided (dual) lever-drive that replaces each quick release rear wheel with a compact and lightweight hub and a lever mechanism. The superior biomechanics of lever propulsion allows Pivot users go further and faster, while significantly reducing the risk Repetitive Strain Injuries (RSI) of the wrist, arm and shoulder. 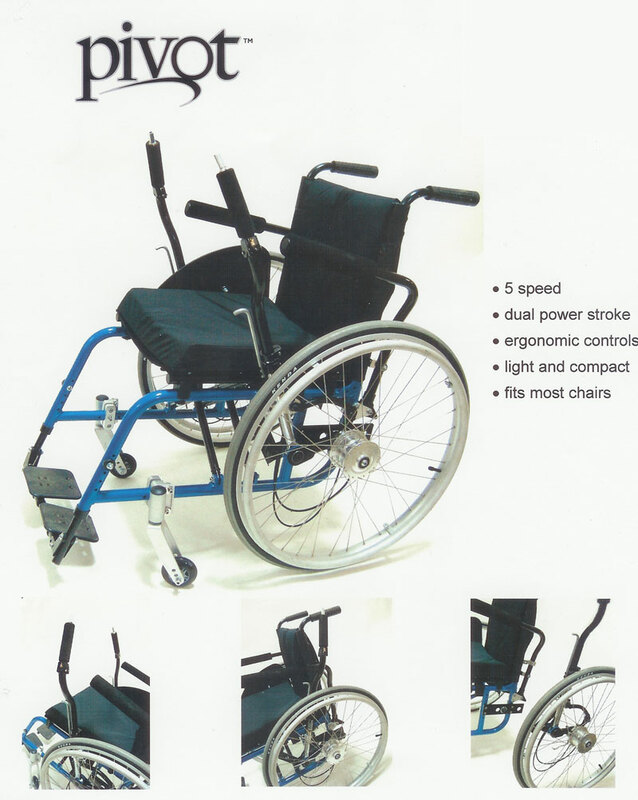 The Pivot is developed by Rio Mobility in San Francisco, California. Target price to consumers is less than € 1600. Available from jan 2010. Five speeds for increased flexibility and comfort. Easy forward and reverse shifting for indoor maneuverability. Power stroke in both push and pull directions. Independent internal rear brakes with parking brake. Anti-rollback mechanism for hills and inclines. Efficient propulsion mechanism for greater speed with less effort. Natural lever motion for less wrist, arm and shoulder injuries and pain. 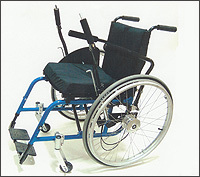 The Pivot can be mounted on most pushrim wheelchairs equipped with quick release rear wheels.